This spoon base from Joseph Joseph is made from durable ABS plastic. It features a non-slip weighted base and allows utensils to stand vertically. 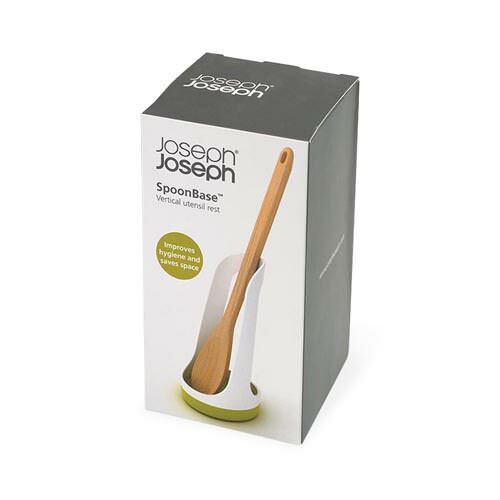 Perfect for resting messy spoons & spatulas on when cooking allowing you to keep work surfaces cleaner & more hygienic as it catches access cooking liquid in its sturdy base.